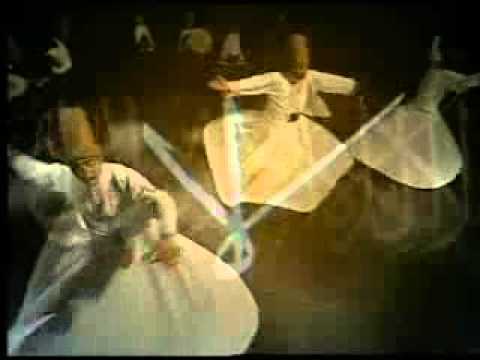 Who Was the mystic Jalaluddin Rumi, and Whose Rumi Is He? As all the countries that call the work of Jalaluddin Rumi their own rise up against the idea of Leonardo Di Caprio playing the poet and scholar in a Hollywood epic, social media users in Afghanistan are pushing back against Iran and Turkey's reported joint claim to the poet's 800-year-old masterpiece Mathnawi Ma’nawi . On May 31, Iran’s Iranian Students’ News Agency (ISNA) released a report quoting the country’s chair of National Documents Organization on Iran and Turkey’s agreement to jointly register Rumi’s Mathnawi Ma’nawi collection of verses as joint cultural heritage with the United Nations Educational, Scientific, and Cultural Organization (UNESCO). The report proved a viral controversy on Afghan social media and prompted a frenzy of diplomatic back-and-forth. On June 9 Afghanistan’s Ministry of Foreign Affairs officially complained to Patricia McPhillips, UNESCO's representative to Afghanistan who subsequently promised to report the issue to UNESCO’s central office. Afghan Foreign Minister Salahuddin Rabbani asked the Turkish Foreign Minister Mevlüt Çavuşoğlu “for details” of the news on the same day. Çavuşoğlu in turn expressed his “unawareness of the issue” and promised “Afghanistan’s considerations and recommendations as the birthplace of Maulana Jalaladdin Muhammad Balkhi” would be considered in the submission, a reaction that failed to quell online protest. Mathnawi Ma’nawi (literally: The Spiritual Couplets) is one of three known works written by Rumi, consisting of six chapters and some 26,000 couplets in total. Mathnawi Ma’nawi is revered across the Persian-speaking world, including in Afghanistan, Iran and Tajikistan, as a book of exceptional wisdom. For many Persian language-speakers it is even heralded as a “second Quran” or “the Persian Quran” — the ultimate tribute to its mystical and spiritually rich content. Mathnawi also helped Rumi become America’s best-selling poet in 2014, which explains Hollywood's interest in his extraordinary life. Many other Facebook users also cited the same couplet of Mathnawi as proof he belongs to Balkh, Afghanistan. “Not Christian, nor Jew nor Muslim, not Hindu/ Buddhist, Sufi . . . Not any religion/ or cultural system. I am not from the East/ or the West, not out of the ocean or above,” he writes in one. As the debate raged a Facebook page called Maulana Jalaluddin Mohammad Balkhi (Maulana Jalaluddin Mohammad of Balkh) became home to a concerted campaign to recognise Rumi's Afghanistan connection. The page put forward a petition against the Ankara-Teheran UNESCO submission that has since been signed by over 5,000 people, close to its 7,500 target. Rumi's story – ‘Made in Konya'? Rumi most likely was born in Balkh — either the Afghan city or the broader region that also ventures into modern-day Tajikistan — on September 30, 1207. But in the wake of the Mongol invasion of Central Asia from 1215 to 1220, Bahauddin Walad, Rumi's Father, set out westwards together with his family. Rumi’s family proceeded to Baghdad, performing the Hajj pilgrimage in Mecca, then to Damascus, then to Karaman where they settled for seven years before leaving for Konya, Anatolia in 1228. At the time the city was under the Seljuk Sultanate of Rûm, which provides the basis for Maulana's last name. A student of theology, Arabic literature and religious studies, Maulana became a teacher at 25, and later a renowned jurist, who gave sermons in Konya's mosques. He also attracted thousands of students, for which he was widely envied. Rumi's poetic turn came after meeting and subsequently losing in mysterious circumstances his closest friend and mentor, Shams-e Tabrizi. Rocked by the loss, Maulauna burst into verse. Among the tens of thousands of verses attributed to Rumi, some 44,000 verses are collected in two epic books named Divan-e Shams-e Tabrizi (his ghazals, love and mystic poems) written in honour of his friend, and some 25,000 are collected in Mathnawi Ma’nawi (lines of wisdom). He died in Konya in 1273. He also said that he wants Hollywood star Leonardo DiCaprio to play the role of Rumi, sparking excitement among some Afghans and revulsion among others. Within hours the twitter hashtag #RumiWasntWhite was trending. Only time will tell whether Rumi's legend will be honoured or mistreated by the silver screen, but many Afghans admit — whether freely or reluctantly — that it was created thousands of miles west of the land of his birth. Yet the theologian of broad learning still has much to teach Afghanistan, where extremist interpretations of religion continue cast a shadow over the joy of spirit that suffused his life's work. Rumi's true admirers will hope the noise surrounding his origins does not drown out the power and wisdom of his words, at a time when the world is most in need of them.